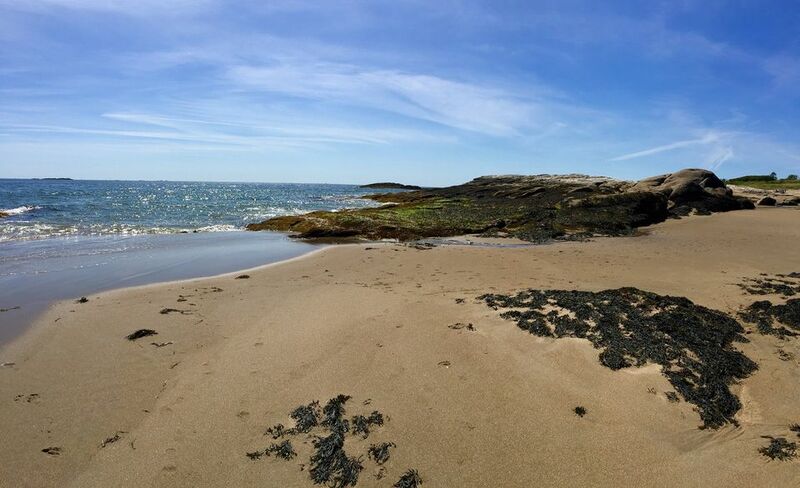 Located on Georgetown, an island in Maine's Midcoast region near Bath, Reid State Park is described by L.L. Bean in its online park guide as "rare in Maine" because of its long, wide, sandy beaches. If you're familiar with the Maine coast, you know that much of it is rocky and rugged. Reid State Park is an excellent family beach, as well as a haven for endangered birds and a heaven for naturalists, who delight in its abundant plant and bird life, its ocean beaches and its seaside picnic areas. Georgetown may be an island, but it is accessible by bridge, and Reid State Park is open year round. It is a popular spot for birding, hiking, swimming, biking and saltwater fishing during the summer. During winter months, the park caters to those interested in cross-country skiing or snowshoeing. Individual admission to the park (as of 2017) is $6 for Maine residents, $8 for non-residents and $2 for non-resident seniors; admission is $1 for children ages 5 to 11 and free for children 4 and under and for Maine residents 65 and older. If you plan to be in Maine for an extended vacation, you may find that an annual park pass for admission to all of Maine's State Parks is worth the investment. Reid State Park is a place to appreciate the majesty of Maine's shoreline, from its clean, sandy beaches, to the unique contrast of growing things against the backdrop of tide-carved rock formations, to the teeming, churning sea itself. Be sure to bring your camera. Even on a gray day, you'll be instantly smitten with this Maine coast destination. Reid State Park's Mile and Half Mile beaches were the first saltwater sandboxes acquired by the state: a gift from Georgetown resident Walter East Reid. And what a gift it remains! My late friend and colleague Debby Fowles was also a Georgetown resident, and Reid State Park was her special place... a soothing seaside landscape where she found solace, even as she battled cancer. Debby was the one who introduced me to this off-the-beaten-path Maine beach in 1999, and she was in my heart when I returned to Reid State Park for the first time in 16 years over Labor Day weekend in 2015 to share this special spot with my family. As you can see from the photo above, on this visit, Reid State Park absolutely sparkled. Can you almost hear the sound of the waves tickling the sand at low tide? The chilly water was invigorating as it swirled around my ankles, and I was determined to walk the entire length of the beach. Reid State Park provides such visual splendor! From the gently surging surf, to beautiful flowering beach roses, to man-made structures, all blend and flow together, making this arguably one of Maine's most peaceful retreats, particularly during the off-season.The coolest thing we saw? This driftwood shack. If you are planning a trip to Maine and you love uncrowded beaches, I hope you'll find your way to this spot so many Mainers cherish. Finding Reid State Park: Set your GPS for 375 Seguinland Road, Georgetown, ME 04548. Best Place to Eat Nearby: The Osprey Restaurant at Robinhood Marine Center (seasonal).